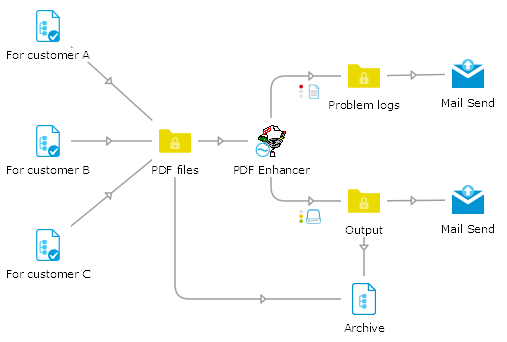 PDF Enhancer streamlines the creation of PDF documents by automating the most common PDF document assembly and preparation tasks that previously required several applications and lots of manual labor. Whether you are producing high quality printed material, an electronic edition of a magazine or newspaper, a sales brochure or technical document, a slide presentation, a legal filing or product catalog for - PDF Enhancer will produce the highest-quality, smallest, most reliable PDF documents possible. Unlike other products that claim to reduce the size of PDF files, PDF Enhancer does not “redistill” or rasterize your documents. The original quality and fidelity are maintained. 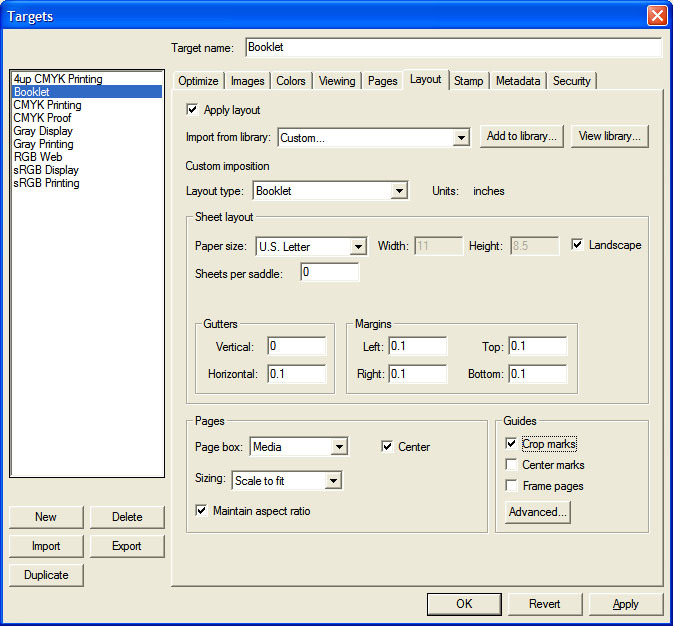 PDF Enhancer can embed & subset fonts in a PDF file. Enhancer can also convert fonts to “outlines” while retaining full text search capabilities. This unique and exclusive feature, called Searchable Outlines, reduces file size and avoids compatibility issues with certain font formats including CID. 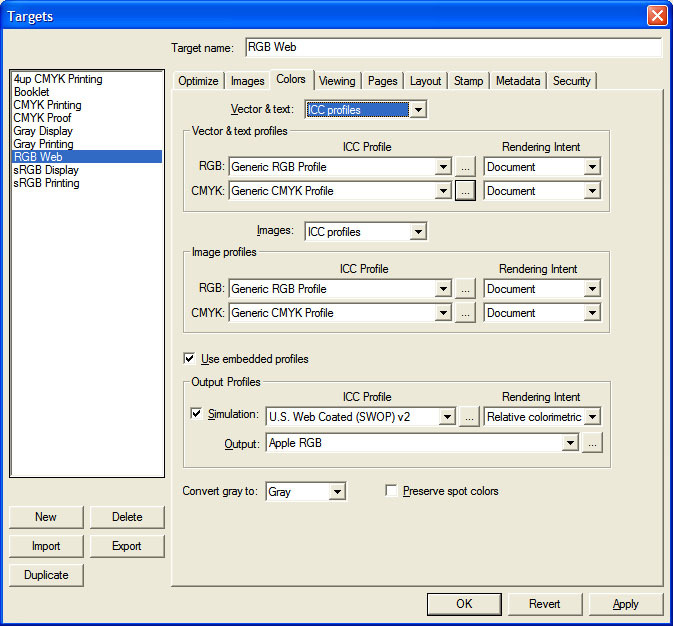 PDF Enhancer incorporates a color management system which fully supports ICC profiles and many powerful options to insure the high-quality color possible. Convert RGB to CMYK for printing, CMYK to RGB for web or screen use. The advanced options allow precise control of CMYK to CMYK conversions. PDF files are dropped into the hot folder of the designated customers. PDF Enhancer automatically creates a soft proof and Switch sends the file to the relevant customer.